i love the weekends! after several glorious days in mexico, it was a little hard to get back to reality last week. i was pretty happy and excited for the weekend. 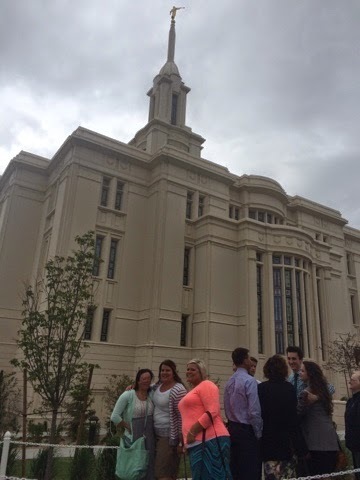 the weekend started by going to the open house for the payson temple with tiffany and sage. the week was overwhelming and stressful, and walking through the temple was exactly what i needed. i love the calm and peace of the temple. after the temple, we went to pf changs for dinner. the food was delish and we had a great time. 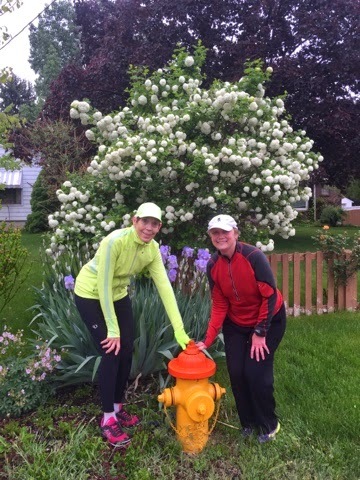 my saturday run was pretty rainy. most of the group ran on friday so we had a small crowd. none of us had the best running day, but it was the best day. the rain made the day more calm somehow. we stopped to see a lot of spring blossoms. i love not having the pressure of a race. i met tiffany and sage for a movie in the afternoon. we saw the longest ride. every time i read or watch a nicholas sparks book/movie, it makes me a little homesick for north carolina. i rarely ever watch movies, but it was nice to sit and relax in the middle of the day. i often fall asleep in movies, but going in the middle of the day might be the key to not sleeping. yesterday was mother's day. being far away from my mom, i didn't do much to celebrate. it's an interesting holiday for a single girl with no kids. i loved reading all the social media posts about mothers, but it makes me a little sad too. my heart breaks a little, but mostly i am happy for all the wonderful women in my life. We're going to see Payson this weekend!